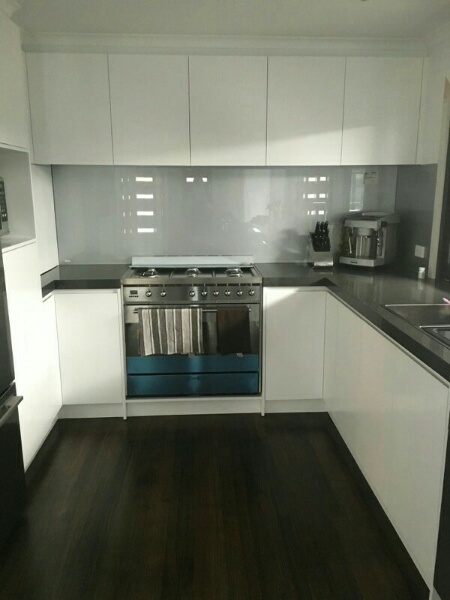 Our client was renovating their home in Dingley, in Melbourne's south east. They wanted a modern yet timeless look for their new kitchen and they preferred not to go crazy with colour. We worked closely with our client to design the L shaped kitchen to utilise the space as much as possible. The design included deep draws for pots and pans and ample floor to ceiling cabinets for the pantry and appliance area. The natural white satin cabinetry complete with the black granite waterfall bench top, gave the space an elegant and understated feel, which was exactly what our client was after.